Yangon or Rangoon is a city in need of repair. A little done, lots to do. 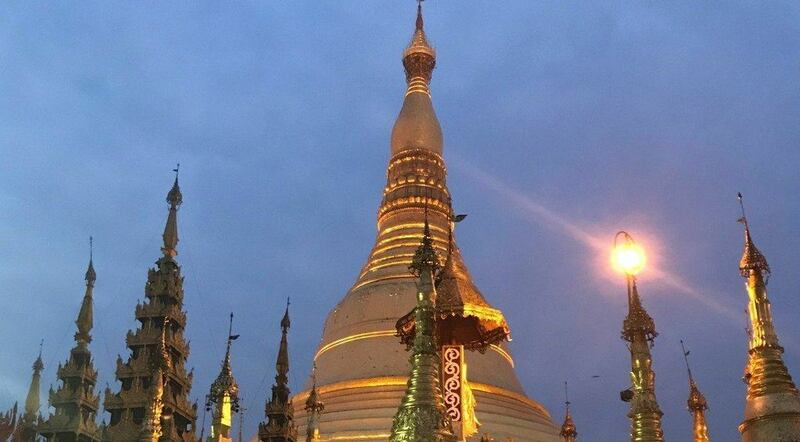 In our trip around the world our first stop in Myanmar was Yangon. Or as many people still call it, Rangoon. Our flight arrived late in the evening so Ooderoo, the recommended data SIM company had closed. We couldn’t contact Grab so we reluctantly took the "official" airport taxi. It was a bad decision not to get a price from a registered taxi as, like in most cities, the approved airport taxis are a rip off. You’ll pay anywhere from 50% to 100% more than a taxi or a Grab. Yangon is filled with many magnificent old buildings. A few have been renovated. Most are derelict and many have been trashed. Progress is a victim of political indecision and inappropriate choices. For example after the coup the military rulers decided to move the capital away from Yangon. To a brand new city Nay Pyi Taw situated about 300 kilometers to the north. Although the military authority forced the move of government departments no foreign embassies have relocated. It was not a decision supported by the people. The consequence … wasted resources in an impoverished country and discontent with the corruption. We visited this pagoda but with a lot of displeasure. As we were entering we were stopped and asked to pay 8 000 as streams of local people walked past. “why only foreigners?” we asked. They shrugged their shoulders and in the resigned way of all bureaucratic employees said “that’s the way it is”. We decided we would give it a miss as Roger paid his money and went inside. While sitting outside and talking to the man that owned a flower stall at the entrance I thought about how these places had integrated religion and business. At every entrance there were rows of shops selling local products. A complete integration of business and religion. We changed our minds about going in after he came out gushing that it was worth paying the entrance fee as the pagoda was magnificent. It is very big and ornate but many aspects are quite garish. We stayed until sunset and the combination of the shy and pagoda was magnificent. Taking off shoes? Floors are filthy!! We decided to visit the lake which on the map was a beautiful blue. The real thing was green water polluted and smelly. The boardwalk where it existed was broken. Other complete sections were missing, In areas it looked like they were starting to do some renovation. We went to the park before sunset. It covers a large area and much of it is well maintained and attractive. From here you also get a very good view of the Schwedagon Pagoda. Our evening on 19th Avenue was the highlight of our stay in Yangon. Where we enjoyed a few “happy hour” drinks and a street food meal. The atmosphere was jovial. Hundreds of people sitting at tables along the street eating a variety of kebabs, seafood and vegetables. There was even a cart selling roasted crickets … which we passed! A visit to the Schwedagon Pagoda at sunset is worth it. 19th Street street food is a must. All prices are negotiable ... except Grab!